Greg Lukianoff and Jonathan Haidt have recently published an important book called “The Coddling of the American Mind,” based on their 2015 article in the Atlantic by the same name. Their premise is that the vocal efforts to police language and stop all microaggressions with vigorous, vociferous correction and confrontation—most prominently on American college campuses but in other spaces as well—can have unintended negative consequences. These consequences are important for any of us engaged in the work of reconciliation, racial or otherwise. Most notably Lukianoff and Haidt have pointed out how the hyper-focus on language, and the attribution of racist intent behind insensitive comments, has unhealthy parallels to the very cognitive distortions and logical fallacies that contribute to a rise in anxiety and increased levels of depression and mental illness amongst college students. Yes, they say, our work to counter racism can, in some cases, contribute to mental health disorders! Now I am all for uncovering our unconscious biases. We need careful reexamination of how we can harm others, even when that is not our intent. But the work of Lukianoff and Haidt has made me realize, there have been times even I’ve veered into what they call “vindictive protectiveness.” And that is not love and it’s not productive. It’s just a pointless performance. Lukianoff and Haidt are not bomb throwers or provocateurs. They are thoughtful researchers and professors concerned for the mental health of their students and society at large. They are urging us to foster resilience and not reinforce fragility. Most of the time, in this work, I’m countering “white fragility.” But this concept of “vindictive protectiveness” is something different. It’s our default tendency for stridency when doing this work. 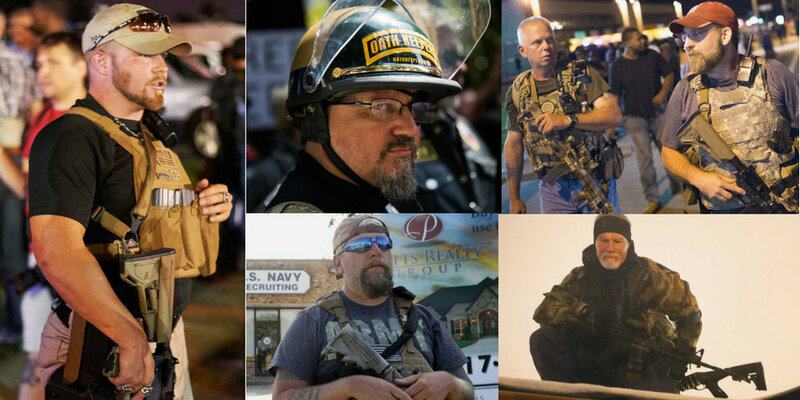 It’s when, instead of thoughtfully engaging others, we sanctimoniously police their language and browbeat them. I’ve witnessed this among my allies and definitely in myself. We’re the overzealous social justice warriors and campus protestors who would counter arrogance with our own condescension, thereby we become the mirror image of the very narrow-mindedness we are aligned against. Humbly, I’ve realized my tendency for stridency, unchecked, only serves to bolster my own fragile ego—while alienating people who are just starting off on this work. Again, that is not real love, which I know is the antidote to this. It’s just my own insecurities run amok. In his sermon just before Christmas Eve, the senior teaching pastor at my church reminded us that our Higher Power (God) never promises to hermetically seal us away from suffering. I came to recognize my own efforts over-protect and over-police others whom I perceived as less “woke” than me, rested on the very ungodly assumption that we could create a zone absolutely free of offense and a life free of suffering. I can’t do this or even promise this. No one can. I don’t claim to know where the perfect balance between constructive dialogue that leads to helpful correction and overreaction that just leads to digging in is . . . but I’m aware I’ve erred on the side of the latter at times and need to course-correct. This year I’m trying to reign in my self-righteous anger. Anger can be good, it can lead to social change, but it also can be self-indulgent and smug. I can’t make that choice for others, but I can make it for me. Half the time when I let myself get too publicly spun up, I’m engaging in a sort of self-righteous display to flaunt my credibility to others (virtue signaling or slacktivism as some sociologists call it). The risk I run with that, is that my performance of outrage will alienate people taking their first steps in this work (and, moreover, I’ll look like a fool). The link to the article by Greg Lukianoff and Jonathan Haidt is below. It’s a good read and certainly moved me into new places of reflection and started some great discussions in my own circles on how to approach the work of living and realizing MLK’s Beloved Community. The Selah Branch. Love it or Hate it. But nobody Likes it. Part Two. This post will focus on the criticism (much of it legitimate) of this same book. To recap, the story is focalized through its protagonist, Kenia Dezy, a Georgetown University undergrad studying public health. Many people of color have praised the book. They have expressed gratitude for the work I put into it. Others, even friends of mine, HATE The Selah Branch. Some don’t even consider themselves friends of mine any longer. When the median net worth for 40-49 year-old black women with a college education is only $6,000 (debt factored in against savings), as opposed to college educated white women of the same age whose median net worth is $25,000, there is no denying the disparities in privilege, opportunity, and capital that exist in our country as the result of racism. The net worth of younger black women, even with a college degree, falls to an astonishing ZERO, while white women with an equivalent education are still very much in the net positive. See more at the link in the footnote. These economic disparities have fallen disproportionately in favor to white people, like me, giving me more access, more opportunities, and more resources. These advantages have enabled me to pursue further education and good jobs, to network professionally, to seek out mentors, and ultimately has helped me to publish. So when I roll up and write a Sci-Fi book, written from the point of view of a woman of color, let’s face it, this can mean shelf space taken away from a Sci-Fi book written about black women by black women. A book like An Unkindness of Ghosts by Rivers Solomon (one of the best books I’ve read this year). Suddenly, here I am, a white dude, taking up space (once again) from women writers of color, who historically have not had the same opportunities that have been granted, undeservedly, to me. And that’s how erasure happens folks. That’s how structural racism persists. And I’m part of the problem. But wait! Sadly, there is more. When we consider books by white authors or films by white writer/directors, we must consider the legitimate question of, how well do they depict characters of color? Are the men and women of color fully fleshed out, authentic people, or are they one dimensional caricatures that might just reinforce stereotypes? As a writer, it’s deeply uncomfortable for me to read that, on reflection, a luminary like Viola Davis wishes she had passed on her role in the 2011 film The Help—partly for this very reason https://thegrapevine.theroot.com/about-aibileen-viola-davis-says-she-regrets-playing-ma-1828998001. I won’t argue with any of Ms. Davis’ or Ms. Long’s points. I can’t, because they are right. So, what am I to do, as a writer? As a privileged white writer? That sad truth, stated by Ms. Glanton, is uncomfortable to accept. But it rings true. And yet, there are further double standards and injustices we white people have to be aware of as we engage in these issues. Perhaps most important to acknowledge is that we white folks are rarely penalized for trying to address racial inequalities. If anything, we get patted on the back—by ourselves especially—for being “woke.” We give ourselves an A+ for just making the effort. But when black people make these same claims (as they have been longer than we have), they are punished. Case in point: Colin Kaepernick still does NOT have a QB job despite being a better quarterback than more than half the men playing in that position. But I also believe that doing nothing, for white artists/writers not to wrestle with these issues, to not participate in these conversations, would be a loss. I still feel that to NOT write and publish The Selah Branch would have been a missed opportunity. I think of the women in my life who inspired it and how, in many ways, the story was a declaration of my love for them. I also think of the woman who came up to me weeping, thanking me for writing it. Then there are the comments on Goodreads and Amazon from readers of color who appreciate the book. And frankly, I see The Selah Branch as an opportunity to appeal to white readers, who might not otherwise pick up such a book with a female black protagonist, but would pick it up if it was written by a white author. So I’ve tried to split the difference, and make up for any “harm” I’m doing with The Selah Branch. I won’t allow The Selah Branch to “compete” in any contests in the category of “African American Writing.” Without question, that would place it in competition with authors of color, possibly limiting their exposure and their opportunities for promotion and accolades. I won’t do that. 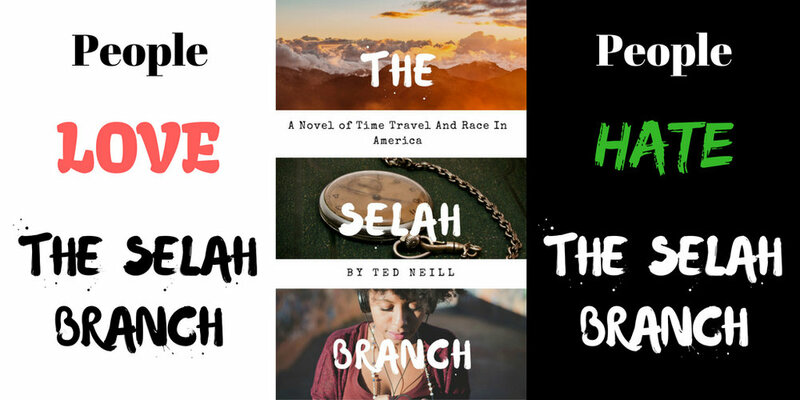 Any awards The Selah Branch has been nominated for, I have made sure it is in categories such as Sci-Fi or Multicultural, not African American. It’s not a perfect solution. But there are no perfect allies, only imperfect ones. I hope writers like Rivers Solomon, Jason Reynolds, Nnedi Okorafor, NK Jemisin, and Tomi Adeyemi would be all right with that. And I hope the Rivers Solomons, Jason Reynolds, Nnedi Okorafors, NK Jemisins, and Tomi Adeyemis of the future will be too. 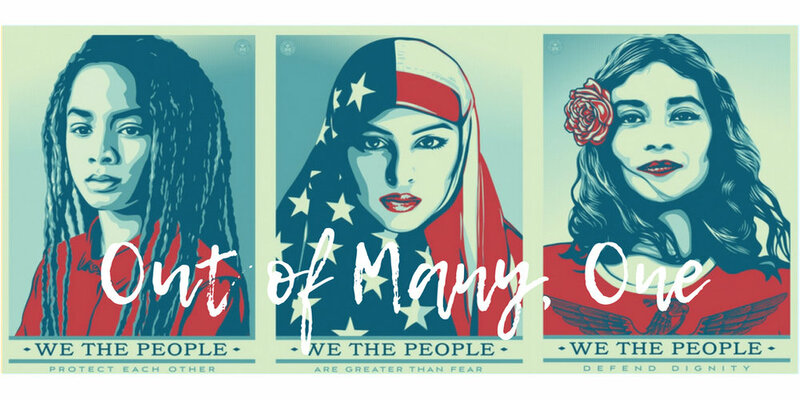 Maybe some of them are enrolling at Georgia State or in a head start program run by CURS or Atlantic Street Center right now.